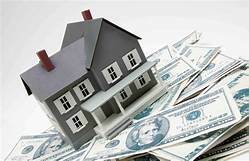 Want to create wealth through homeownership? Build equity. Home equity is the percentage of your home’s value that you own, and it’s key to building wealth through homeownership. Let’s take a closer look at how to build home equity without blowing your budget — and how to access it when you need it. Equity is easy to calculate when you first buy a home because it’s basically your down payment. For example, if you put $11,250 down on a $225,000 home, your down payment is 5 percent and so is your equity. WHETHER YOU’RE BUYING OR SELLING, PLEASE CONTACT JAMES WITH ALL YOUR HOUSTON, CLEAR LAKE, MEMORIAL, SPRING BRANCH, ENERGY CORRIDOR, TANGLEWOOD, GALVESTON, WITHIN THE LOOP AND KATY REAL ESTATE NEEDS. WE’RE HERE TO HELP! YOU WILL ALWAYS RECEIVE THE PROFESSIONALISM AND EXPERIENCE YOU DESERVE! CALL US AT 409-256-1274. CHECK OUT OUR LISTINGS AND OTHER INFORMATION ON OUR WEBSITE: HTTP://WWW.THESELIGGROUP.COM/. OH, BY THE WAY ®…IF YOU KNOW OF SOMEONE WHO WOULD APPRECIATE THE LEVEL OF SERVICE I PROVIDE, PLEASE CALL ME WITH THEIR NAME AND BUSINESS NUMBER. I’LL BE HAPPY TO FOLLOW UP AND TAKE GREAT CARE OF THEM.